The Ohio Religious Coalition for Reproductive Choice (RCRC) works for a just society - one where people can live according to their own beliefs without coercion. We seek to raise the voices of the faith community to ensure that all people can access the reproductive healthcare they need. Regardless of income, race, or background. Free from judgment and intimidation. We use faith-based education, advocacy, and counseling to preserve and protect reproductive freedoms for ourselves and future generations. Thank you! You’ll receive periodic messages to keep you informed about opportunities to strengthen and protect our reproductive freedoms. an interfaith community that supports choice. It is a surprise to many that there exists an organization promoting ‘pro-choice’ religious views. Many assume that all people of faith are anti-abortion/anti-choice. However, the vast majority of Christians and the majority of Americans are in favor of keeping abortion safe and legal, whether they would choose themselves to have an abortion or not. Many people are “pro-faith, pro-family, and pro-choice,” as the Religious Coalition for Reproductive Choice (RCRC) slogan goes. Ohio RCRC seeks to build a faith-based community that preserves and protects the rights and moral dignity of all who are making decisions about reproductive health and dealing with reproductive loss. At our core, RCRC is a coalition of national religious organizations. Like any coalition, the views of each denomination or organization are their own and often vary. The power of our collective voice for reproductive justice is magnified by the unique, diverse views of our various member organizations – views which are grounded in thousands of years of scriptural texts and accepted beliefs around the moral agency of people to make the decisions that are best for them and their reproductive lives. The church law in many Mainline and other religious denominations states that abortion should be safe, legal, and accessible. Members of the RCRC include the Episcopal, Presbyterian Church (U.S.A.), United Church of Christ, Unitarian Universalist Association, Catholics for Choice, and Reformed, Conservative, and Orthodox Judaism. Ohio RCRC is led by our executive director and a Board of Trustees. The board is currently searching for new members who have a range of skills and connections and will enhance our religious, geographic, ethnic, and racial diversity. Help us promote reproductive justice for all Ohioans - email us at info@ohiorcrc.org to become a board member! Elaina Ramsey has served as Ohio RCRC's Executive Director since June 2017. With a decade of campaign, advocacy, and communications experience, Elaina loves listening to people’s stories and engaging communities for social change. She has worked for various nonprofits and campaigns at the intersection of faith and politics — including Sojourners, Red Letter Christians, Women’s Action for New Directions, and Obama for America. Elaina received her bachelor's degree from Capital University in Columbus, OH. She holds a master's degree in both Theological Studies and International Peace & Conflict Resolution from Wesley Theological Seminary and American University, respectively. Elaina hails from Chillicothe, OH, and adores her wild and wonderful family. 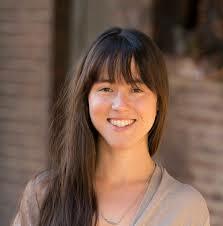 Ms. Hunter serves as a resident attorney at Fair Shake Environmental Legal Services in Akron, Ohio. She graduated from Vermont Law School in 2014, where she served as chair of their chapter of Law Students for Reproductive Justice. During that time, she brought Dr. Katharine Morrison of Buffalo Women’s Service (a woman who opened a birthing center in her abortion clinic) to speak at their annual Roe v. Wade Anniversary Dinner. Ms. Hunter is a licensed attorney in New York and Ohio and continues her work in the Buckeye state with legal issues at the intersection of environmental and reproductive justice. She is a proud pro-choice Catholic. Rev. 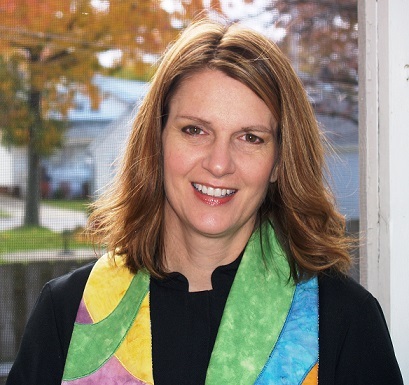 Kelly Burd is pastor of the historic Pilgrim Congregational United Church of Christ in Cleveland, Ohio. Pastor Kelly earned a Bachelor of Science in Education degree from Ohio University in 1992. Following graduation, she bartended at the world’s longest bar on South Bass Island in Lake Erie and taught English in Tokyo, Japan before matriculating at Yale Divinity School, where she earned a Master of Divinity. Among other justice pursuits, Rev. Burd is a skilled sexuality educator and advocate of Our Whole Lives (OWL), a comprehensive sexuality education program co-published by the United Church of Christ and the Unitarian Universalist Association. Robert Nosanchuk is Senior Rabbi of Anshe Chesed Fairmount Temple in Cleveland, Ohio. Rabbi Nosanchuk also serves as co-chair of Greater Cleveland Congregations; holds a seat on the boards of NATAL: Israel’s Trauma and Resiliency Center and the Jewish Federation of Cleveland. Since a teenager, Rabbi Nosanchuk has seen himself as an activist for peace, justice and equality. Within the world of pro-choice advocacy, he has advanced his synagogue’s work with the Freedom of Choice Coalition in Cleveland and has been an advocate and ally of the “My Abortion, My Life” campaign. A graduate who was rabbinically ordained by the Hebrew Union College – Jewish Institute of Religion, he is currently pursuing a Certificate in Counseling and Spiritual Wellness at John Carroll University. On behalf of Ohio’s faithfully pro-choice communities, I ask you to do the right thing and to oppose this extreme and immoral bill. Where is the Consistent Ethic of Life in Senate Bill 23? God's call to care for the vulnerable means that we should look first to the actual persons who are already breathing in this world. In domestic violence situations, men often withhold contraception as a way to control their partners. Forcing a birth isn't going to do anything about that. Senate Bill 23 is not about life or love. It is not about compassion for the unborn. It is a punitive measure that seeks to enforce a fundamentalist, sexist religious agenda on the women of Ohio and, as such, it must be defeated. My faith teaches that it is a gift from God that a woman can have a safe and legal abortion if she believes that is best for her and her situation. So whose moral, spiritual, and scientific belief should prevail in Ohio? It is dark and dangerous to substitute the moral posture of certain legislators (based solely on those lawmakers’ religious beliefs vs. medical or public health concerns) for a woman’s own judgment, spiritual and theological discernment, and deliberation about her own physical and mental health and how her reproductive choices impact her future. Those who feel compelled to take away the rights of women moves from one of service, seeking the welfare of all — to one willing to commit violence through stigma and denigration and the imposition of a patriarchy that betrays the well-being of We the People. As crushing as that pregnancy loss was, I came through it because of the love of my family and the care of a medical system and a legal system which took me as a woman, as a mother, as a human being with a unique and difficult circumstance — as well as that potential life inside me — seriously. For the next 140 mornings, Amy would have to face each new day knowing that the fetus in her belly was dying. The belly bump and fetal heartbeat did not tell the full story or even hint at the pain or the tragedy. SB23 is inhumane and immoral. It tells Amy, we don’t care about you. Senate Bill 23 (the six-week abortion ban) would be unquestionably disastrous for women in my community, intruding into their personal healthcare freedoms in ineffective and unconstitutional ways. I am old enough to remember the 1960’s and what happened to some of my teenage friends faced with unwanted pregnancy. I remember, which is why I know that a 6-week ban imposes a deadline long before most young women even know they are pregnant. I remember which is why I know that this ban will not stop abortions — if that is our goal.